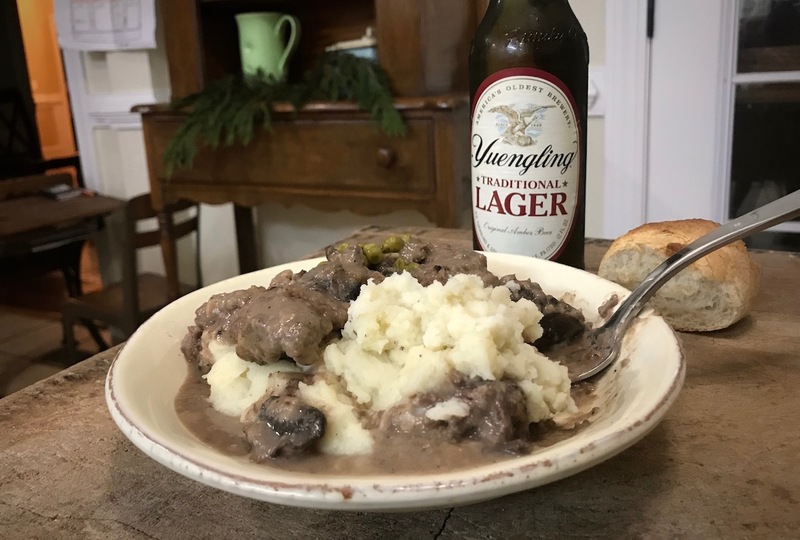 If you find yourself looking to cut salt or simply want a cleaner version of gravy, try this low sodium, mushroom gravy for your Dutch-oven venison cube steaks. Obviously I am still super young and healthy, and I can eat all the sodium I want. Except, when I go for a visit with my physician, my blood pressure reading continues to be above normal. Every time. No doubt something is flawed with the machine. I mean, actually, I'm not so young. But anyway, for those of you that do have high blood pressure or have your own unique reasons for trying to cut back on salt, this recipe allows you to do it without suffering the consequence of the healthy eater’s bland food misery. Sauté onion and garlic cloves. Set off to the side. Dust cube steaks with flour. This won't require a lot of flour. The remaining will be used for the gravy. Brown the steaks in a cast iron skillet. Once browned (about 5 minutes), take steaks off and place them in Dutch oven. Pour 4 tablespoons of oil over the steak drippings in the cast iron and add 4 tablespoons flour. Stir rapidly over medium heat until you have a light, brown paste. Add ¼ cup of water, continue to stir rapidly. The paste should reach the consistency of gravy, once water is added. If the consistency is still too pasty, add water until the consistency is right. If you’ve added too much water, leave the flour/oil mixture on the heat until it thickens to the desired thickness. Turn heat to low and season. Add 2 teaspoons salt, 2 teaspoons lemon juice, pepper to taste (I add quite a bit of pepper) and 2 tablespoon yogurt butter spread. If you find the gravy is bland, add a teaspoon of apple or malt vinegar. 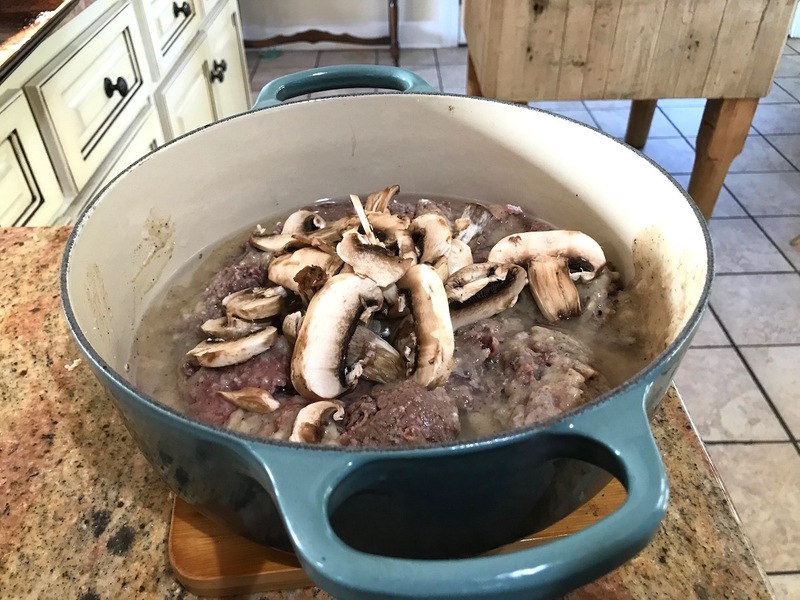 Pour the gravy over browned steaks in Dutch oven. Rinse and slice fresh mushrooms and add along with gravy and steaks in the Dutch oven. Cover and bake for 1 hour at 350 degrees. Serve over mashed potatoes, grits or pasta.